This is Dave’s third year coaching at MVC, and he brings a wealth of experience both as a player and a coach. Dave spent four years as a member of the Mohawk College Mens’ team, and was named an OCAA all star for two of his four years there. 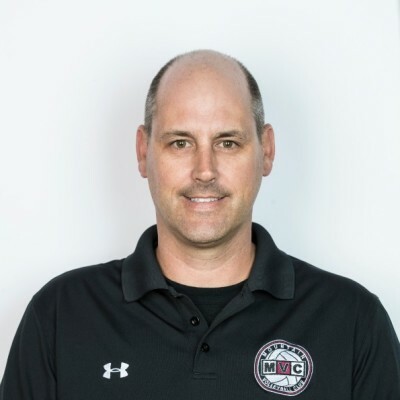 He travelled extensively throughout North America as a player with the Hamilton Express Mens’ A and AA club teams, winning Eastern Canadians, and competing at Nationals as a member of teams that placed within the top four numerous times. Dave was named to the all star team twice at this level. At the varsity level, he played for McMaster University for 1 year, and was named an OUAA all star during that year. As a school coach, Dave has coached Ryerson Middle (elementary) and Westdale High (secondary) to 8 city championships and 3 OFSAA appearances. 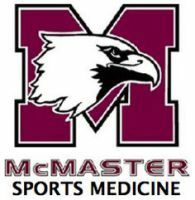 Dave has also coached at varsity level, as an assistant coach of the McMaster Marauder men's team for one year, and the Marauder women for two. Prior to that, he was a co-coach at Mohawk with the womens’ team for five years, and was named Co-Coach of the year. Hello! I am Assistant Coach Christian Hollingshead. I have a daughter that has been involved with MVC for 5 seasons and is currently a member of the MVC 18U team. It has been an amazing for me to see the development of the players’ skills and character with the support of great coaching. I have played both indoor and beach volleyball for many years, both competitively and recreationally. I mainly played as a Setter and enjoyed the strategic aspect of the sport. I encourage strong fundamentals and look forward to seeing all players improve.